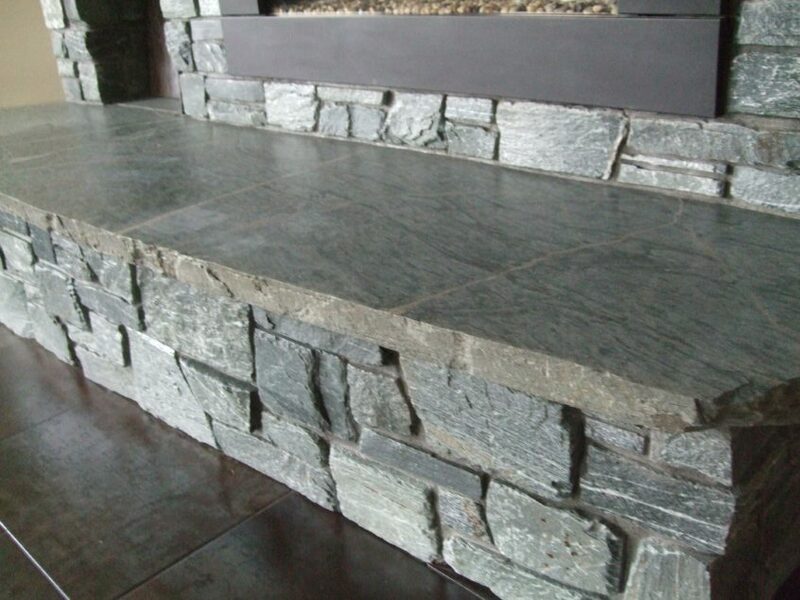 Grey, rich blue tones and a hint of green. 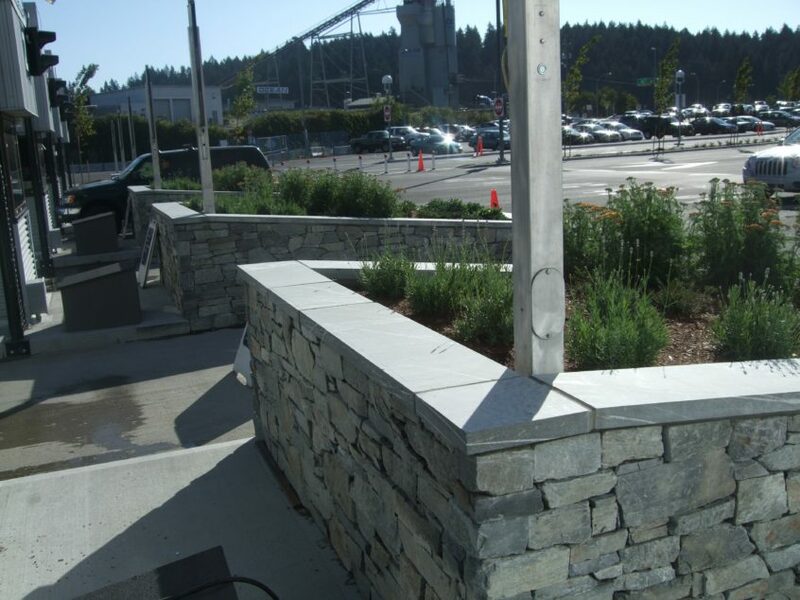 Ocean Mist Ledge Stone is one of our flagship products that is produced from our Ocean Pearl quarry. 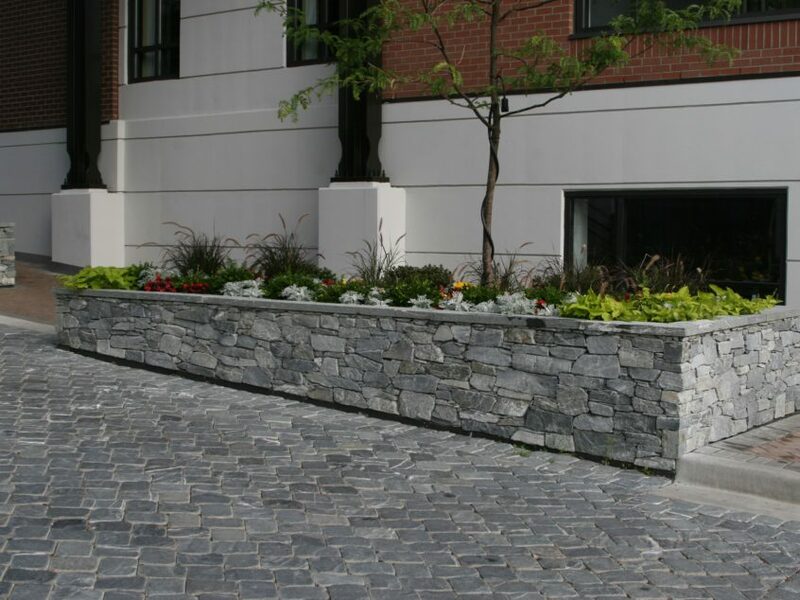 Its unique color texture and shape provide an exceptional finish on any surface. 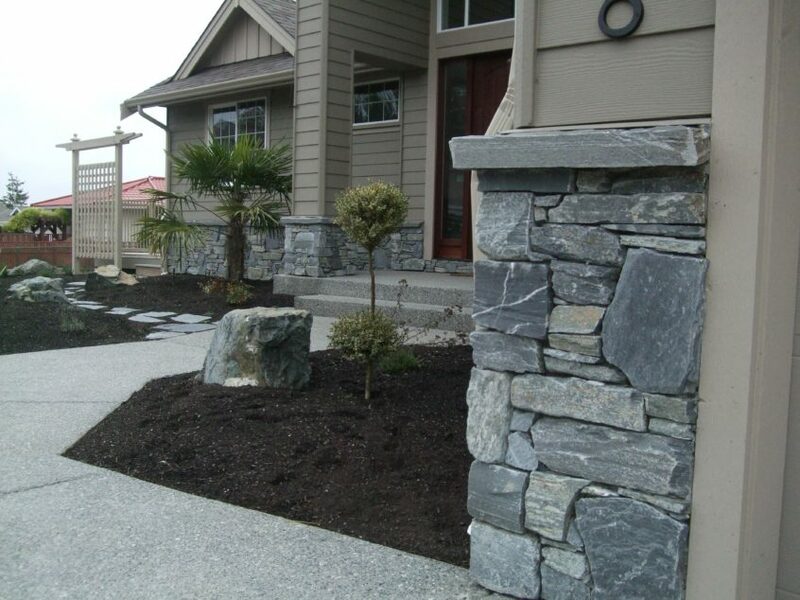 Ocean Mist natural stone material is distinguished by its depth of color, which includes complex shades of grey, rich blue tones and a hint of green. 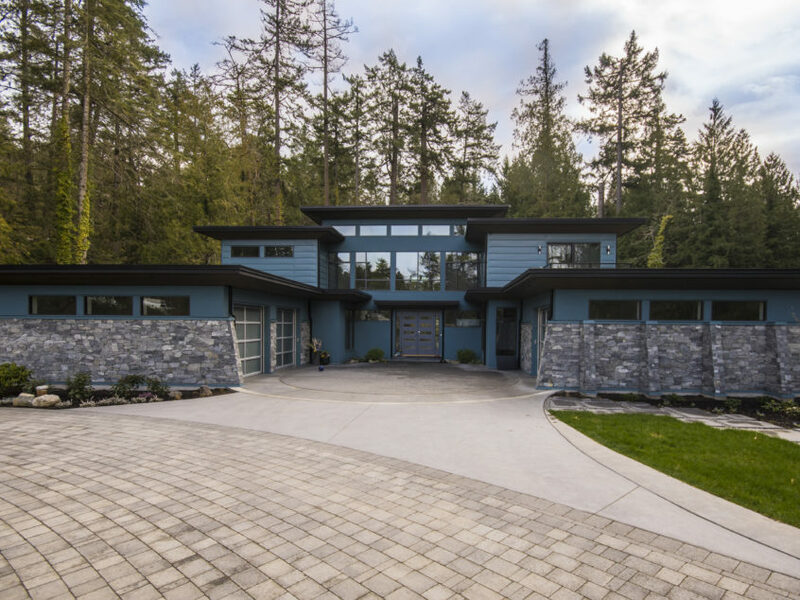 Dimensional color makes Ocean Mist an extremely versatile stone veneer that complements most palettes of roofing and cladding materials. 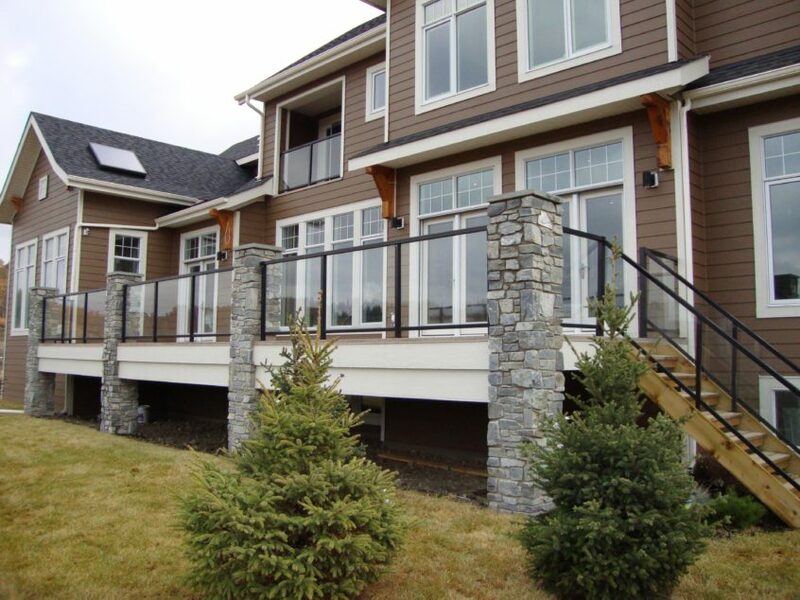 And it works indoors or outdoors for a wide range of eye-catching applications. 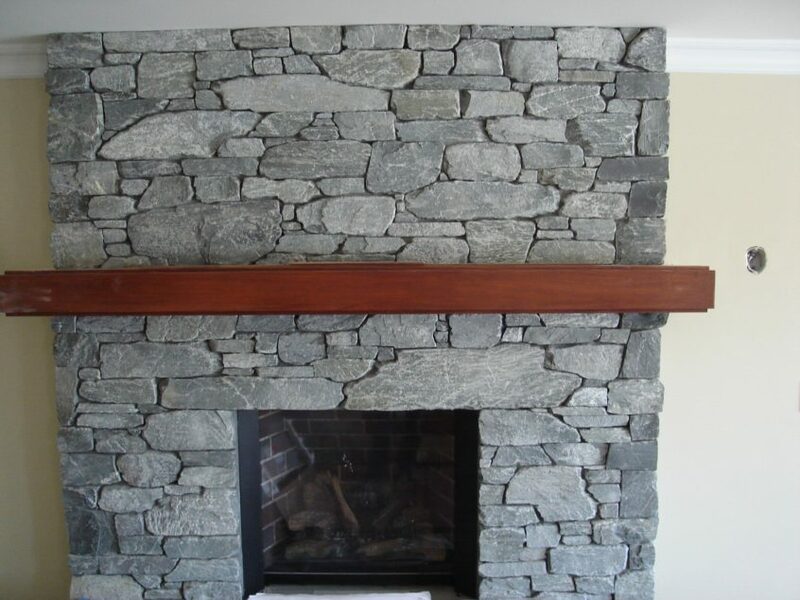 The stone sizes range from 1 – 7" face heights and 6 - 24" lengths. 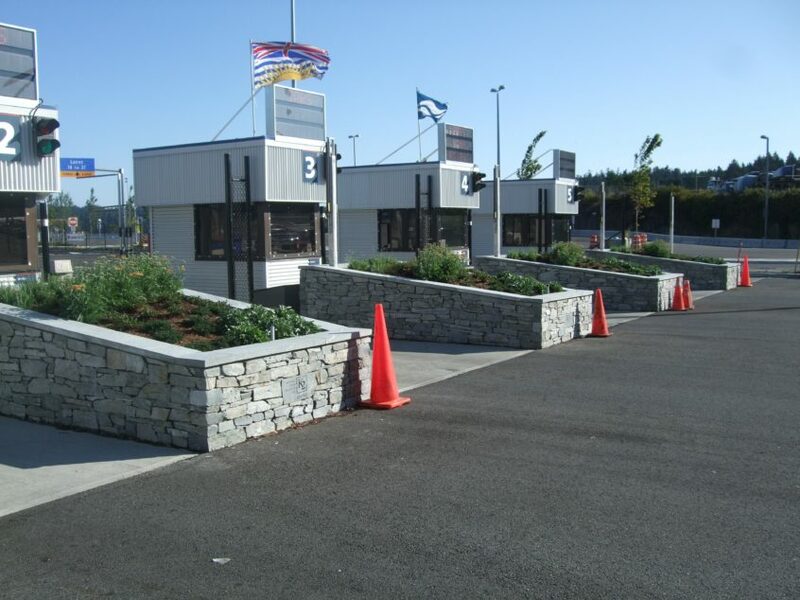 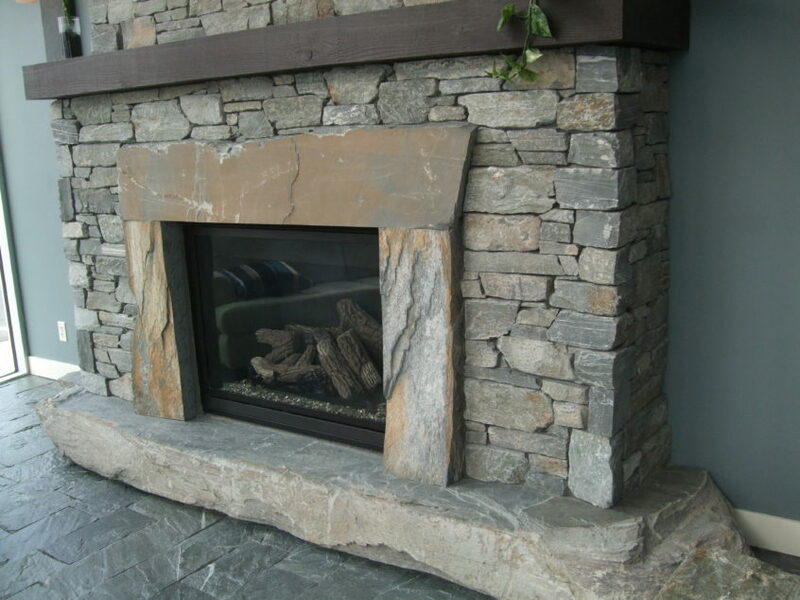 It's a rustic west coast ledge that breaks the mold of a traditional ledge stone. 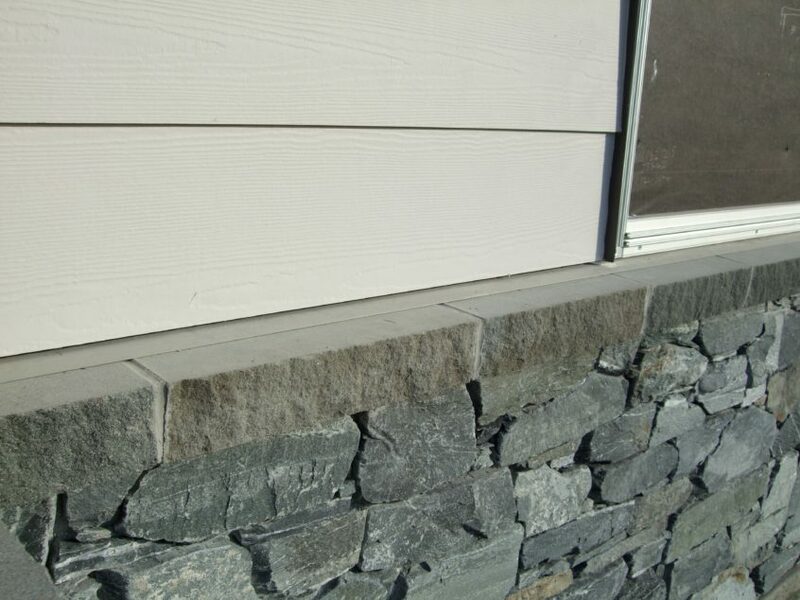 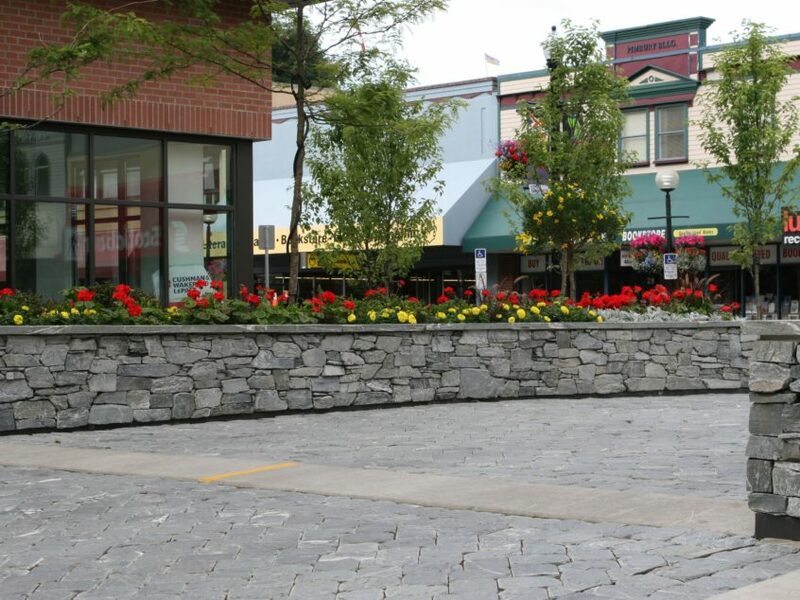 Although the irregular elongated ledge-cut stones of this product suggest rusticity, it also enhances the clean lines of many modern and contemporary architectural styles. 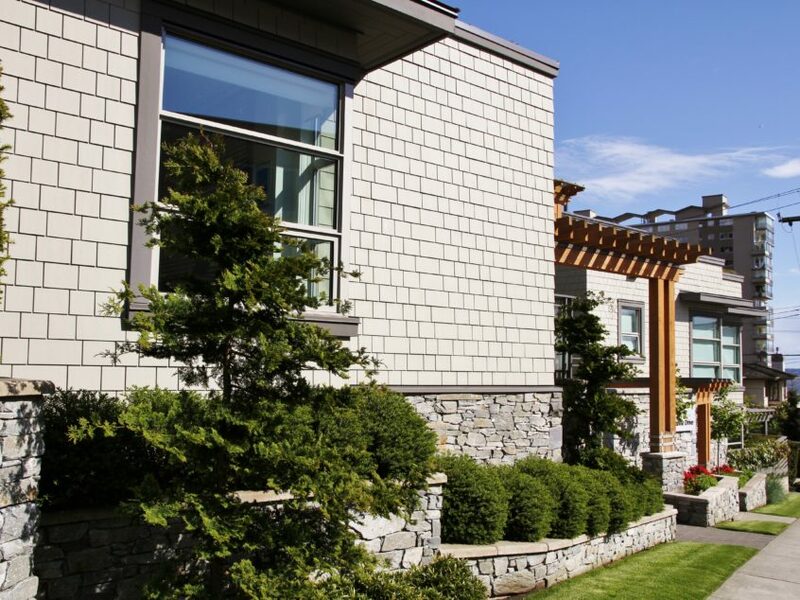 It can jazz up your home's facade, emphasizing the angular qualities of low-slung bungalows or ranch-style homes, and works especially well around entrance ways, adding definition. 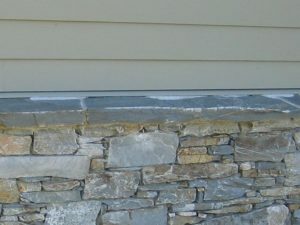 Cut 3/4" - 1-1/4" thick, this is a sturdy material that looks great when used for retaining walls, gate posts or around outdoor patios, living rooms or kitchens. 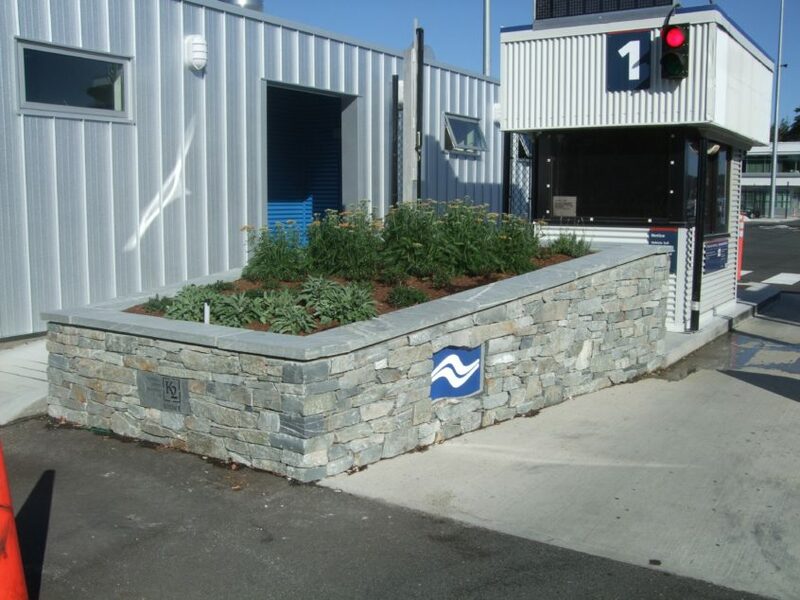 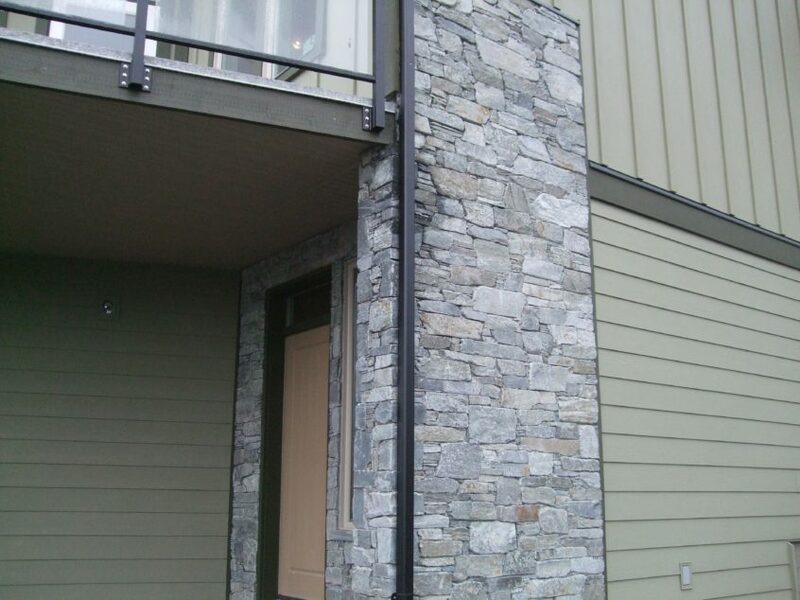 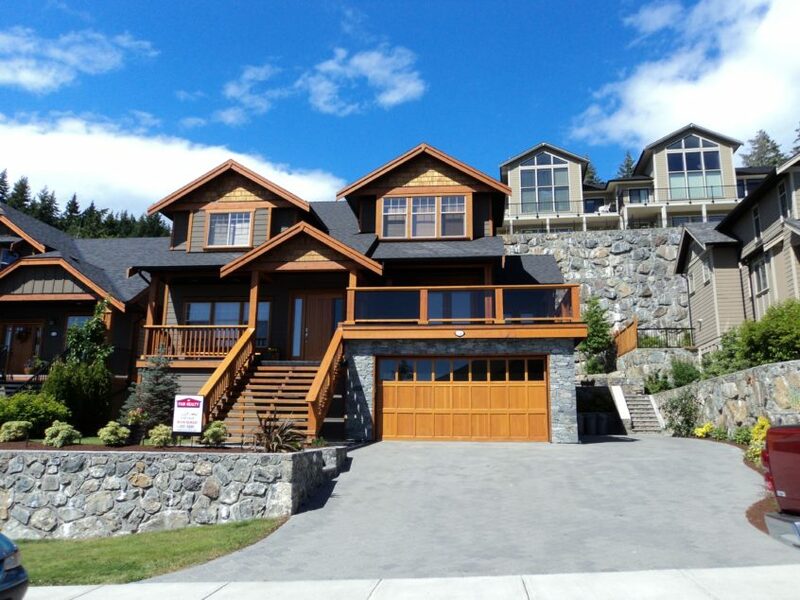 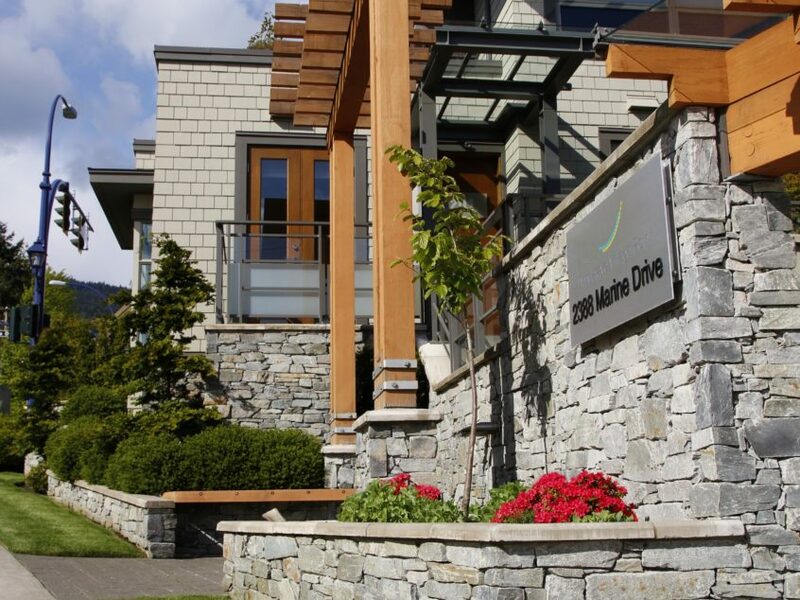 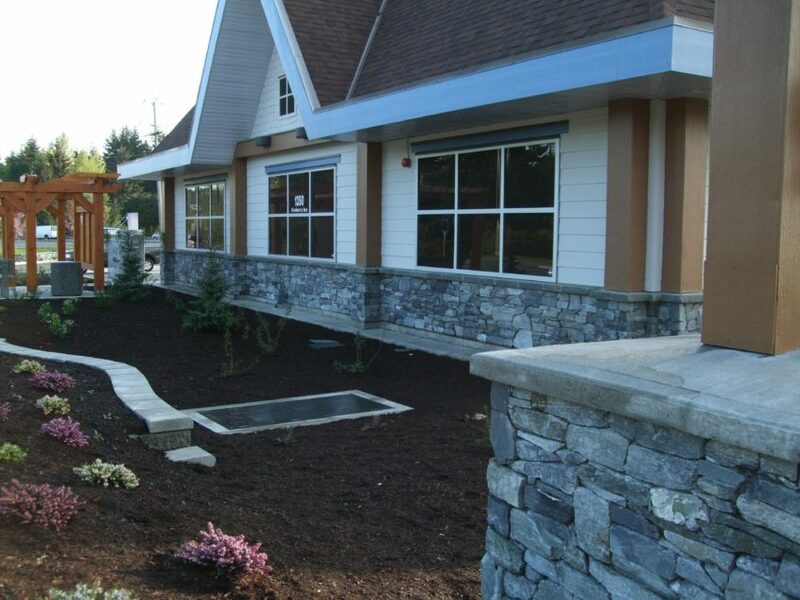 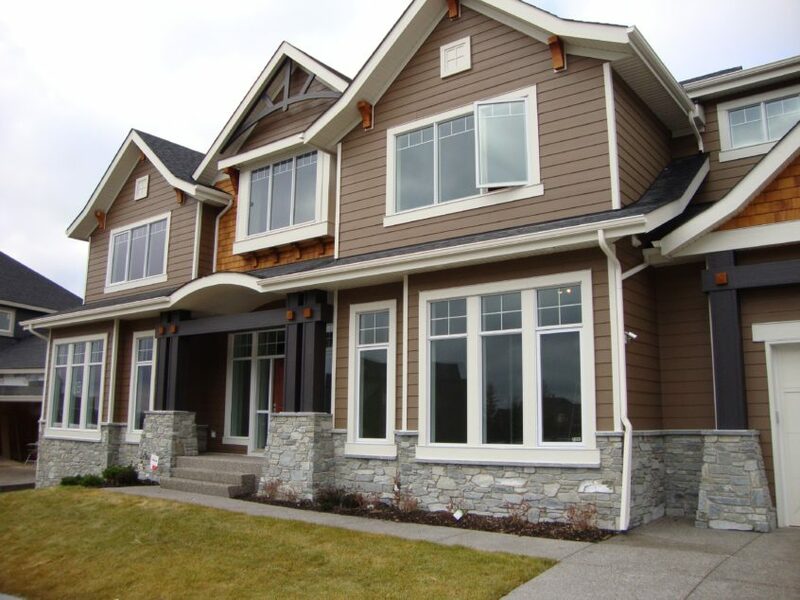 Because of its timeless natural beauty and strength, Ocean Mist Ledge Stone Veneer will add both value and luxury to your property, improve the look and feel of your home today. 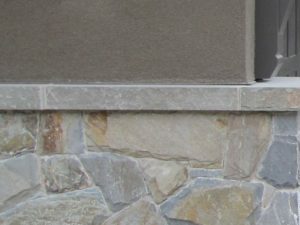 This product looks great inside, and a little goes a long way. 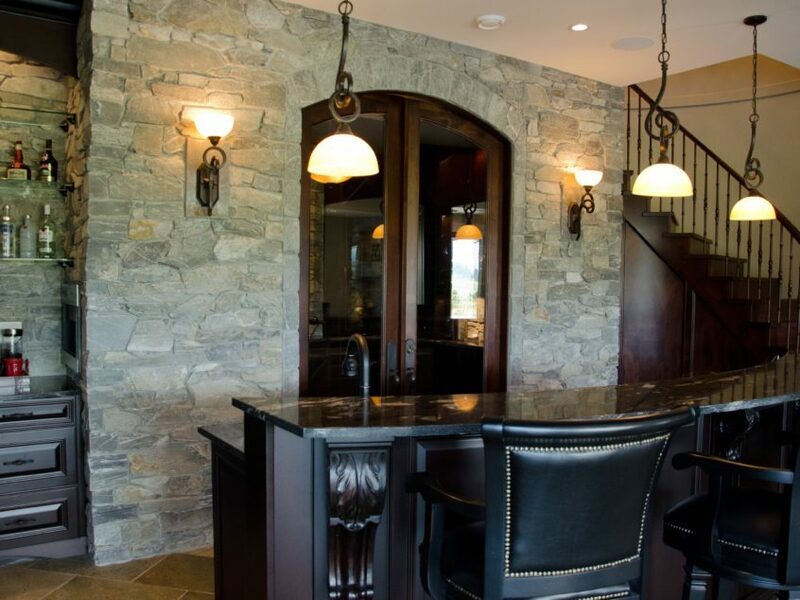 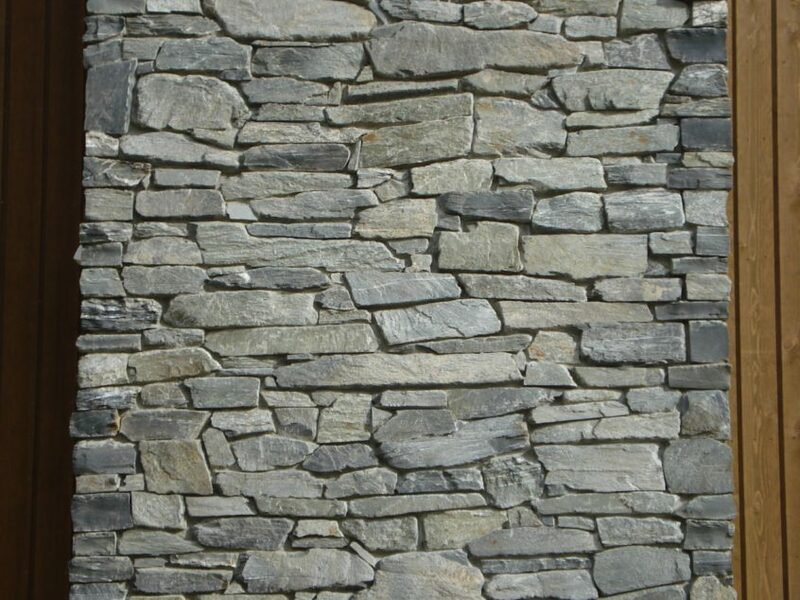 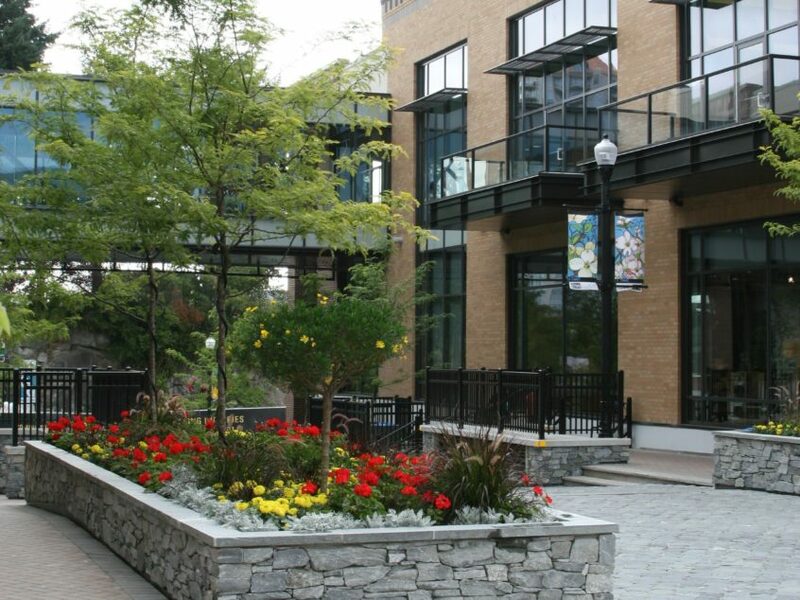 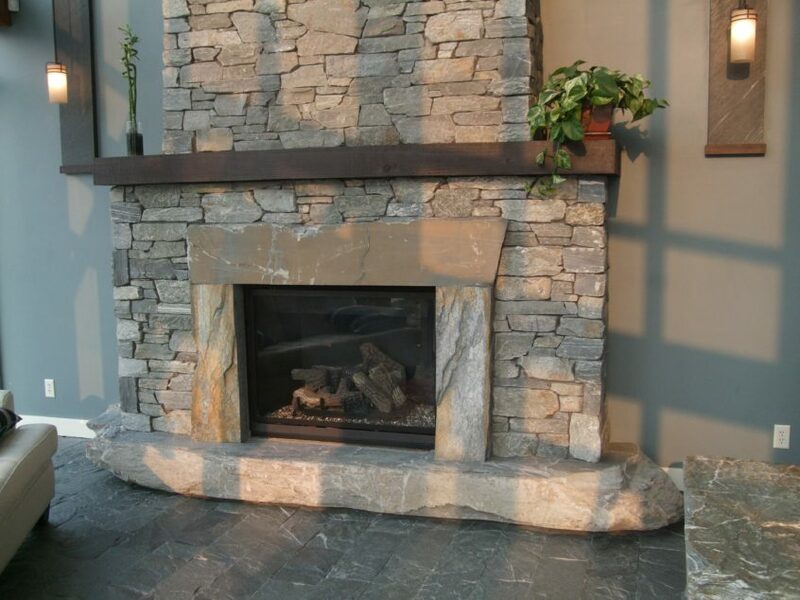 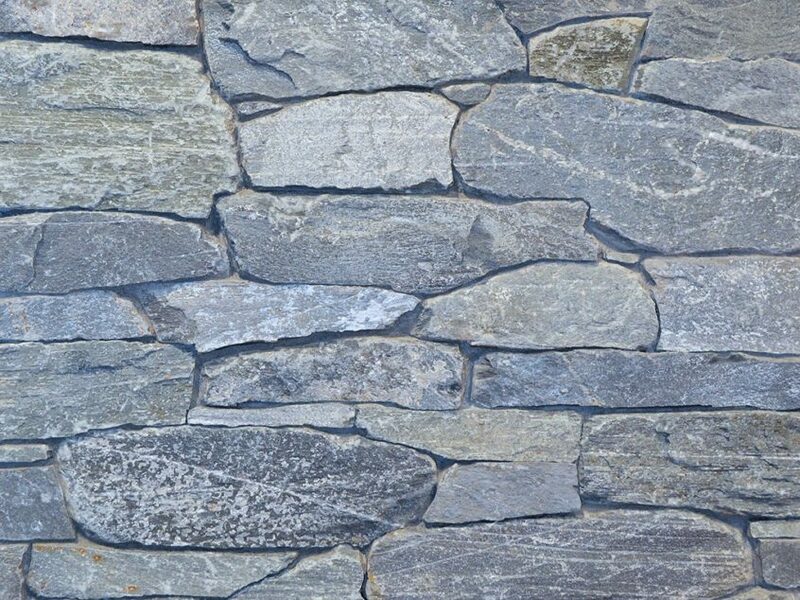 If you have used this stone veneer outside, echo that application with a single feature wall in the front foyer – this will create a connection between the interior and exterior of your home. 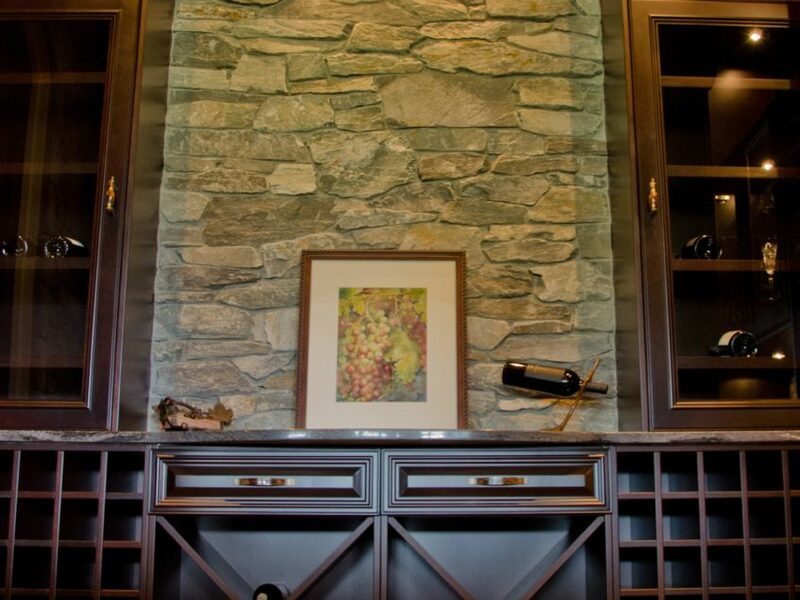 Consider a backsplash or island treatment in the kitchen for maximum impact with minimal material. 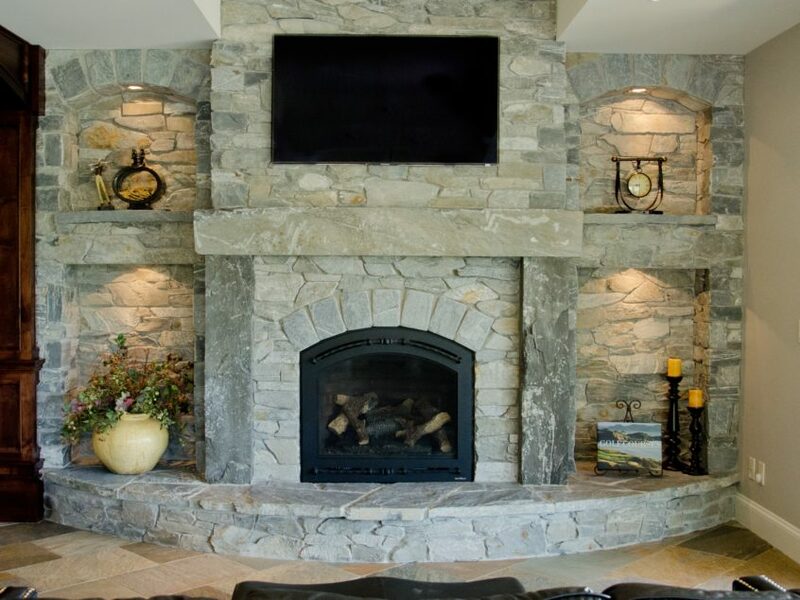 Or create a striking floor to ceiling fireplace surround in the family room.